If you enjoy shopping and dining in picturesque beach towns, then Cedar Key, Florida, is for you. This small fishing village turned tourist area is located on the west coast of Florida overlooking the Gulf of Mexico. Although it is not close to some of the more popular tourist attractions, it makes a wonderful getaway-for-a-day destination. The waterfront area is host to a variety of seafood restaurants, quaint shops, and a pier. You can stroll this small village and meander in and out of shops full of treasures just awaiting your discovery. 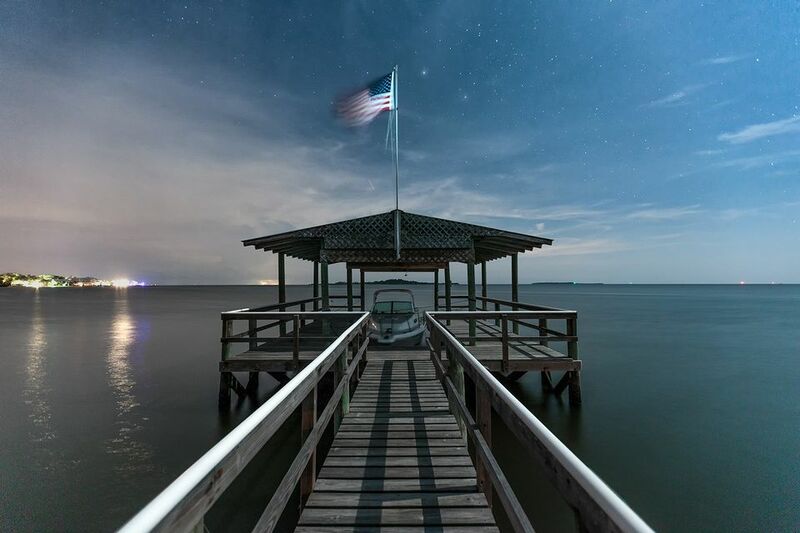 You can sit high above the Gulf enjoying the view and some of the best seafood Florida has to offer, or you can try to catch a fish off the pier. You will also find boat docks and boat rentals for excursions into the Gulf of Mexico and a very small public beach on the waterfront. Just a block or two inland are more shops. For those wishing to stay more than a day, lodging is available at many island-style locations that are reminiscent of the old Florida. On a typical day, you'll find Ceder Key to be sunny and warm with a Gulf breeze blowing ever so gently to help keep you cool. The pier is generally bustling with activity. Fishermen cast their lines into the Gulf. People sit enjoying the view and watching commercial boats dock and unload their day’s catch. And, you're likely to find pelicans sitting, as if posing for a postcard, on the pilings waiting for a handout. The shops along the waterfront boardwalk are varied. Many feature shells and items made from shells, jewelry, clothing, antiques and children’s toys, as well as arts and crafts made by the islands' artisans and tropical island-style decorations. Cedar Key is affordable. Lunches are reasonable and dinners are moderately priced. If you don’t like seafood there are other menu choices. The water at Cedar Key can be choppy, but if you choose to rent a boat, prices are very reasonable. Or you can book an excursion to the Seahorse Key Lighthouse. The two-hour scenic cruise focuses on Atsena Otie and Seahorse Keys. Dolphins are often sighted during these cruises. There is a beach, but it is small and there are no lifeguards on duty. The shore is littered with clam shells, which can be hard on the feet, and the strip of sand is very narrow. There are, however, a couple covered pavilions which would make a perfect picnic destination if claimed early enough in the day. Parking is haphazard and could prove to be a challenge. If you have to park too far away, golf cart rentals are available to whisk you around where you want to go including the boardwalk area. If laid-back is your style and you want to spend a few days taking in the sights, there are a variety of places to stay. Don’t expect to find high-priced chain hotels, though. Most lodging is found in the older roadside motel-style rooms and quaint beach resorts. Most are well-kept and help to add old Florida-style ambiance and island flavor to the area. On your way home, stop by the Cedar Key State Museum, which features many artifacts and items of historical significance to the area. Although housed in only one room, the exhibits are interesting.